Remember those Cheddar and Bacon BBQ Meatballs that I made the other day? 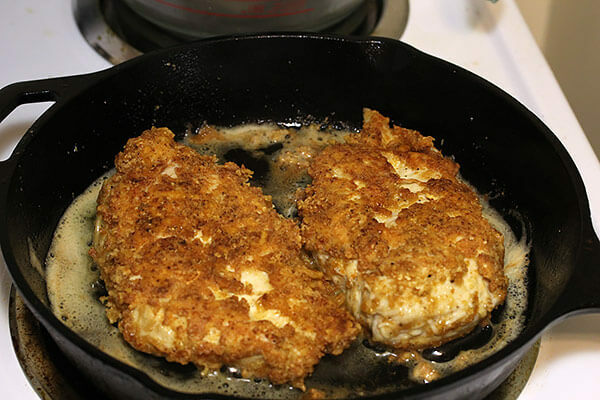 Well, I had leftover pork rinds from crushing them up – so I decided that I would make some fried chicken with it. Surprisingly (well, I had my suspicions anyway) it turned out really awesome! 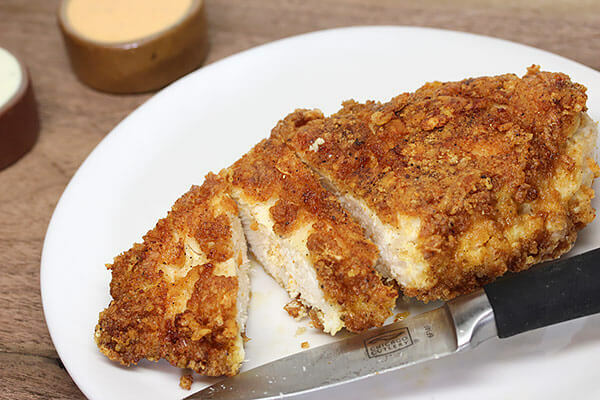 It’s a great breading for fried chicken, it holds together and sticks, and tastes fantastic. My one quip about this, is to make sure that you don’t use a food processor to crush up the pork rinds. I used a rolling pin to crush them up inside a Ziploc bag, and this left some larger pieces. It really added to the texture of the crust, so I highly suggest you do the manual work here. On the side, I made cauliflower mashed potatoes. Delicious! 1. 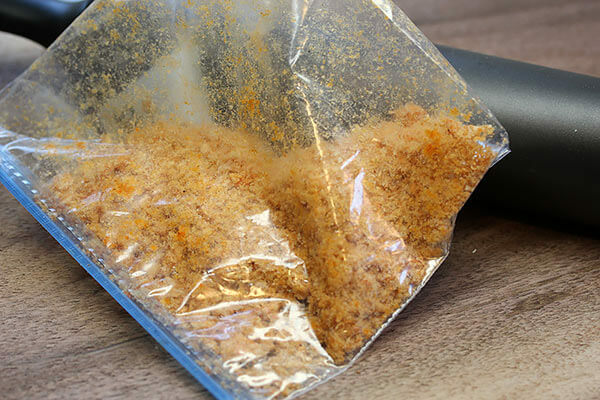 Crush up your pork rinds in a Ziploc bag. I highly suggest doing this manually, as having some larger crumbs will add to the texture. I used BBQ flavored pork rinds, but you can use regular if that’s all you have on hand. 5. 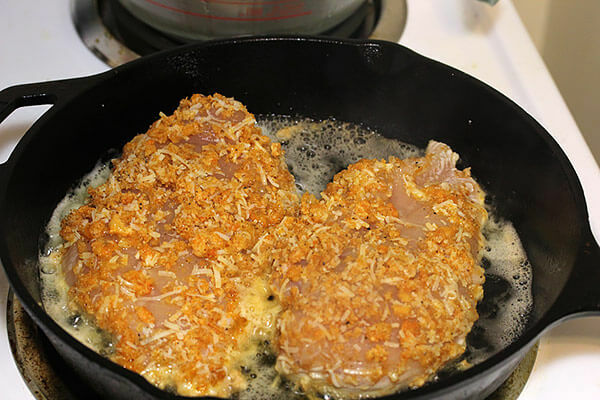 Dip your chicken into the egg mixture, then dip it into the pork rind crumb mixture. We’re doing a double dip to ensure there will be a nice crust. Dip it in the egg mixture again, and again into the pork rinds. 6. In a pan, put your olive oil and coconut oil. Turn to medium high heat and let it get hot. 7. Once the oil is hot, place your chicken inside. DON’T TOUCH IT! Let it sit here a while, almost until you smell burning. We want to make sure the crust gets nice and crisp. 8. Once you smell that burning, flip it over and do the same to the other side. Once you smell burning again, you can flip it over a second time. 9. 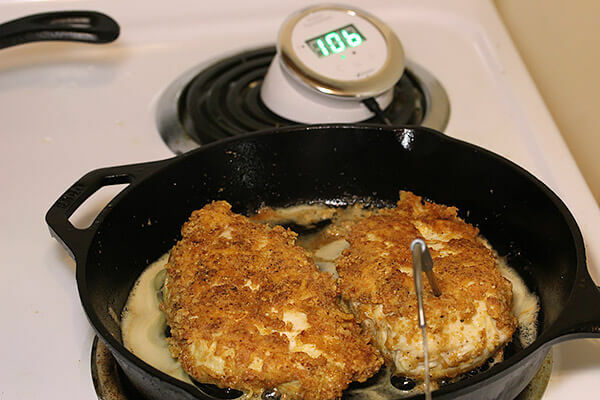 Turn your heat down to the lowest setting, and let your chicken cook for about 6-7 minutes per side (depending on thickness of the chicken breast). 10. Let your chicken cook until it’s just about done. I like to keep my chicken nice and moist inside, JUST over the pink side in the center – but this is completely up to your own preferences. 11. Serve this up with some broccoli, spinach, or cauliflower. 12. I dipped this into some ranch with hot sauce. It was absolutely fantastic! Keep in mind, if you want to lower the calories, you can always use less chicken, and less oil! Crush up your pork rinds in a Ziploc bag. 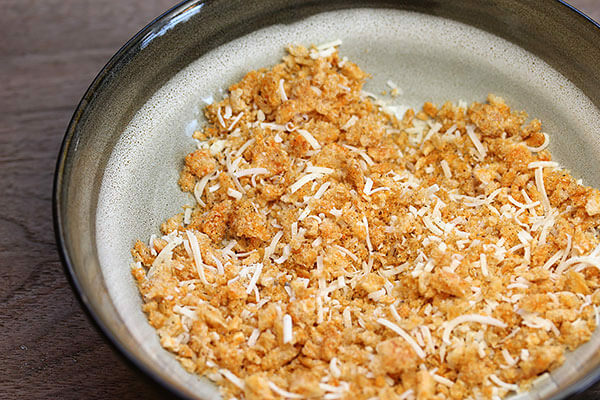 In a bowl, put your pork rind crumbs, 1/3 Cup Parm cheese, and pepper. 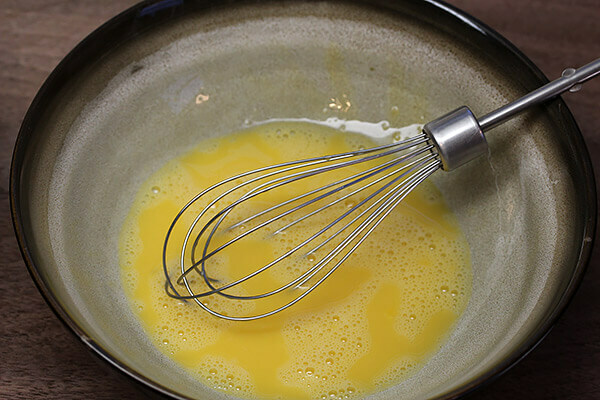 In another bowl, crack an egg and scramble it well. 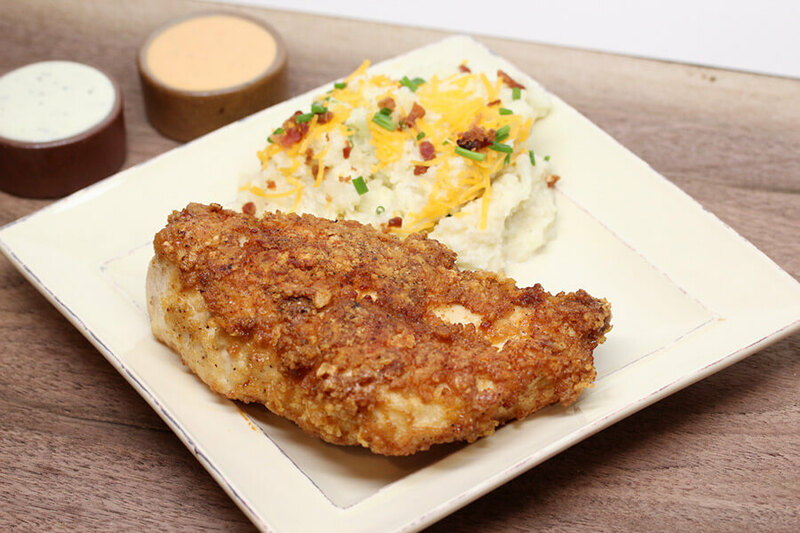 Mix the pork rind ingredients up to make sure it will coat the chicken evenly. 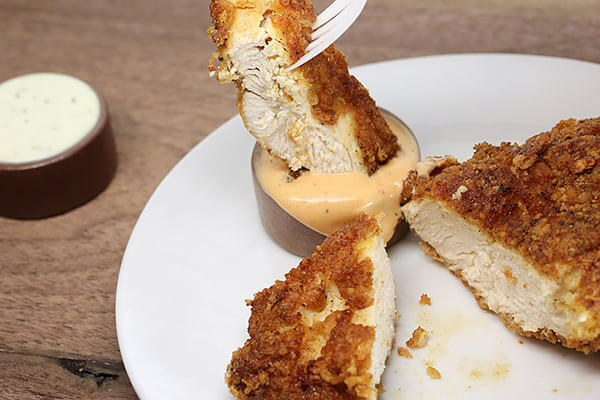 Dip your chicken into the egg mixture, then dip it into the pork rind crumb mixture. We're doing a double dip to ensure there will be a nice crust. Dip it in the egg mixture again, and again into the pork rinds. In a pan, put your olive oil and coconut oil. Turn to medium high heat and let it get hot. Once the oil is hot, place your chicken inside. DON'T TOUCH IT! Let it sit here a while, almost until you smell burning. We want to make sure the crust gets nice and crisp. Once you smell that burning, flip it over and do the same to the other side. Once you smell burning again, you can flip it over a second time. 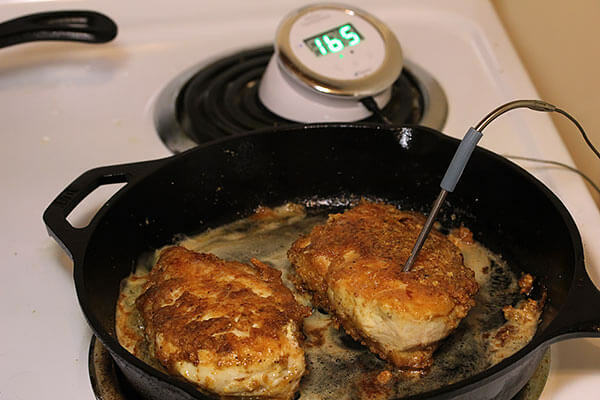 Turn your heat down to the lowest setting, and let your chicken cook for about 6-7 minutes per side (depending on thickness of the chicken breast). Let your chicken cook until it's just about done. I like to keep my chicken nice and moist inside, JUST over the pink side in the center - but this is completely up to your own preferences. 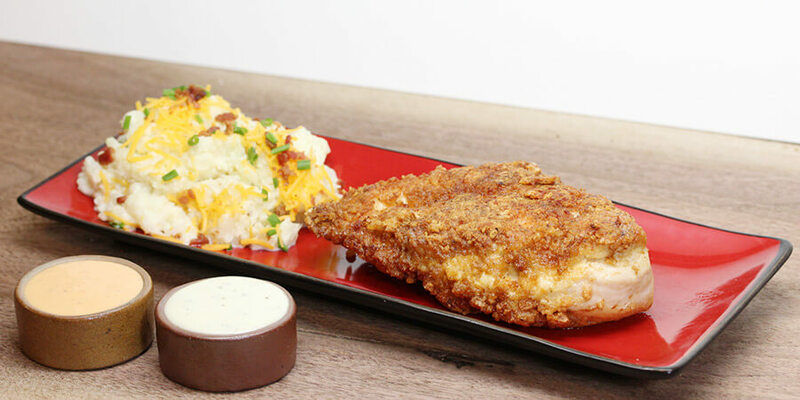 Serve this up with your favorite sides and enjoy.